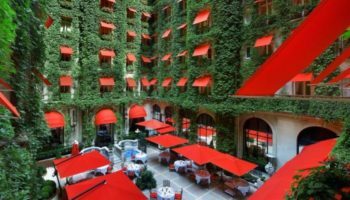 Sometimes people can be snobs when they travel: They only want to see the top destinations in the top cities. This is especially true when it comes to France. Sure Paris is great and Nice is nice but there are many other destinations in Gaul that are worthy of our time and attention. 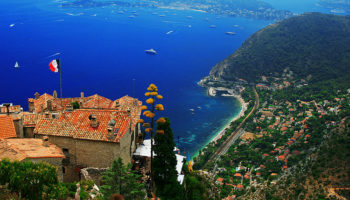 It’s in these underrated destinations that you’ll see stunning scenery, picturesque villages, and gorgeous cathedrals. 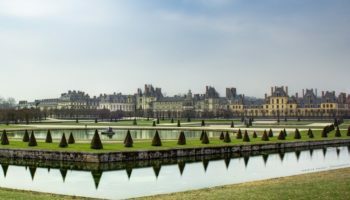 Who knows, by going there you just might contribute to these lesser known destinations in France becoming the next tourist hot spot. While Roman ruins can be found throughout France, a good place to see the more famous ones is Nimes. It has so many ruins, it’s sometimes called the French Rome. The amphitheatre, built in the first century, is the best preserved arena in France; it is used as a bullfighting ring today. You’ll also want to see the Maison Carrée, a Roman temple dedicated to the sons of Agrippa. A Romanesque-Gothic cathedral occupies the site of a former Roman temple. One modern building, designed by 20th century architect Kisho Kurokawa, is shaped like a hemicycle reminiscent of the amphitheatre. England may have the white cliffs at Dover, but across the English Channel, France has the white cliffs of Etretat. These cliffs are Etretat’s main claim to fame. They were assisted in reaching this status by many Impressionist arts, including Claude Monet, who painted them. Carved by wind, water and erosion, these cliffs stand guard over the water at Normandy. The forces of erosion are responsible, too, for creating three arches along the cliffs. Aviators may want to see the spot where two French flyers were attempting to make a non-stop crossing of the Atlantic in 1927 in the White Bird. Wow! The university at Toulouse, founded in 1229, has 103,000 students, but it’s only the fourth largest in France. Whether you come to Toulouse to see the university, you’ll definitely notice the city’s unique architecture. Toulouse is nicknamed the Ville Rose or Pink City because the buildings are made from pink terracotta bricks. While there, you may want to visit the largest remaining Romanesque building in Europe, the Basilica of St. Semin. Also don’t miss the Canal du Midi, which runs through Toulouse as it connects the River Garonne to the Mediterranean Sea. The canal is considered one of the most important 17th century construction projects. Quick! Name the most famous mustard in the world. If you said, “Dijon,” go to the head of the class. This tasty mustard was named after the town it was invented in in 1858. But mustard isn’t the only delight this city in eastern France has to offer. 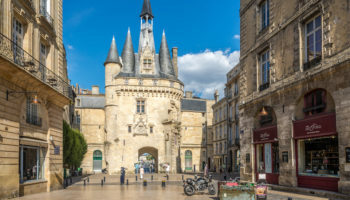 Dijon has many churches reflecting a variety of architectural styles over the centuries, including Notre Dame de Dijon, St. Philibert, St. Michel, and Dijon Cathedral with its thousand-year-old crypt. One of the most unique things about is the roofs made from colored glazed tiles that are arranged in geometric patterns. 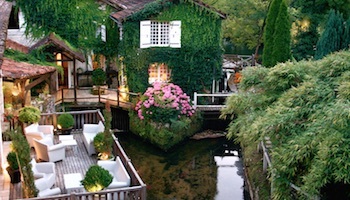 Annecy is known as the “Pearl of the French Alps.” When you visit there, you’ll soon see why. The city is set in surroundings that can only be described as stunningly beautiful. It’s sometimes called the “Venice of the Alps” because three canals and a river run through it. Annecy is a year-round destination with skiing in the winter and hiking in the summer. Whenever you go, you’ll want to make time to see the Palais de l’Isle, a castle that served as Geneva’s government headquarters until 1815. Today it houses a local history museum. The Chateau d’ Annecy was home to the counts of Geneva for generations. Corsica is an island in the Mediterranean that is closer to Italy than it is to France. 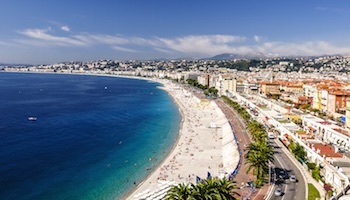 This may account for some of the differences between mainland France and the island. Islanders speak Corsican first, French second. Though part of France for 200-plus years, they’ve kept their old customs. 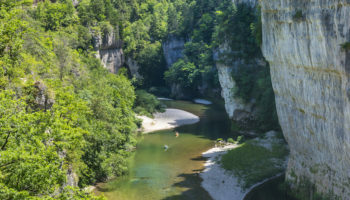 The country has a wild interior; the Parc Naturel Régional de Corse is a good place to take in the island’s highest mountains as well as several protected species of animals. Besides abundant nature, the “island of beauty” also offers pretty coastal cities, great beaches and fascinating hilltop villages. Just a few miles from Spain in the heart of the French Basque country, Biarritz is a tranquil yet elegant seaside resort. Located on the Bay of Biscay, Biarritz is prized for its lovely beaches that offer excellent swimming and world-class surfing. The main beach, Grand Plage, gets very crowded in summer, but there is also a long surfers’ beach on the Boulevard du Prince de Galles, called Cote de Basque. Along the main bay is the town’s notable rock formation, the Rock of the Virgin, which is connected to the mainland by an old iron bridge built by Gustav Eiffel. Comar hasn’t always been part of France. 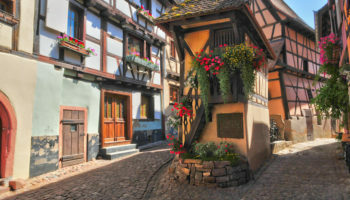 Sometimes Alsace, where Colmar is located, has belonged to Germany. 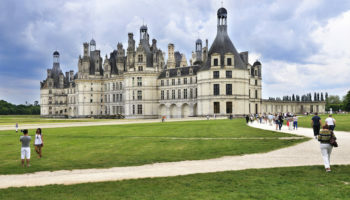 This is why you’ll see very Germanic looking architecture mixed in with the French. One example of this is the 13th century Eglise Saint-Martin, which is known for its early stained glass windows, several Gothic chapels and sculptures. 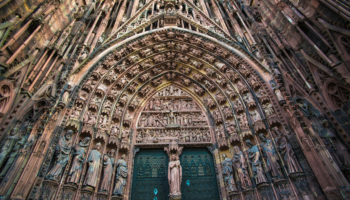 The church is located in Colmar’s Old Town, a picturesque place you’ll want to spend time in. Follow the narrow cobblestone streets to half-timbered houses and see houses with ornate balconies along the way. You may also come across statues adorning the sidewalks. Located on the Rhone River, Avignon has an old town that is just made for wandering. A key attraction here is the papal buildings that saw use between 1309 and 1327 when popes lived here instead of Rome. A few years later a pope bought the town, and it remained under church control until the 18th century. 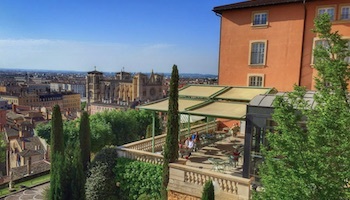 Of course, you’ll want to see the Palais des Papes and the ramparts that surround Old Town. 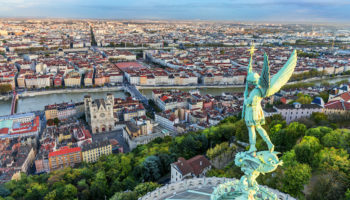 You can wile away your time in this medieval city sampling local specialties at Halle, a large covered market, then relaxing on a Rhone River cruise.